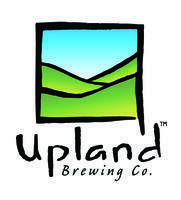 The next Upland Lambic lottery is ready to launch next week, beginning on Tuesday, April 29 at 12pm EDT and running until Wednesday, May 7 at noon. This go round will feature the long lost Persimmon Lambic (due to previous batches not being up to par), Peach Lambic and a fresh collaboration with New Belgium, Darksynth . Next Post On Gender and Beer: Do We Need Saving?